Don’t purchase seedlings that have flowers on them. You may think you are getting a head start, but really what the plants need to do first is establish their roots, not produce babies. Let them get settled in. Do pinch those flowers off if you started your own plants and they are budding. Really, you’ll get more fruit in the long run. Do give them a bit of Epsom salts. They love that stuff. If they don’t need it, it won’t hurt. It is good to have it as a preventative measure to help grow healthier plants. Do plant your transplants very deep. ‘Up to their necks’ is what the farmers say. This way they will grow a great root system, as mentioned above. The better the roots, the more productive the plants will be. Don’t water from above, if you can help it. This can cause soil to splash up on the stems, making them more prone to disease. Try to use a soaker hose whenever possible with tomatoes. Do mulch, especially if you are watering from above. This helps prevent that soil splash just mentioned, as well as holds the moisture your tomatoes may need. Do put in the stakes you are going to use for support at the same time you plant. You don’t want to go back later and start damaging those roots you both worked so hard for. Do know what type of tomato you are growing. If it’s a ‘determinate’ type, it may suddenly stop producing. Learn more by following the link at the end of this post. Don’t stress it. Are you feeling over run with tomatoes? Are you concerned about fruit flies in your kitchen? Simply wash some of those tomatoes off and toss them in the freezer. When you have time, thaw to use. A bonus: the skins will slip right off after defrosting. Do enjoy a variety if you have the room. Roma and plum tomatoes are best for preserving, slicing types for fresh eating, and of course cherry tomatoes for snacking. Plant tomatoes based on how you intend to use them. Don’t plant them outside before the soil temperature is 50F. How warm the soil has become is a function of how close the sun is, the depth, and how much sunshine the area gets. Surface soil can feel warm but 6 inches down it can still be quite cold. Some gardeners plant their tomatoes out when the overnight lows are consistently above 50F. Not the same thing, but close. Do speed up the process by covering the area with black plastic, and turning the soil over every so often. If you plant early, keep those heat-loving tomatoes warm through the use of cloches. In a pinch, canning jars will do the trick — just don’t let the plants get fried. That’s for the green fruit. 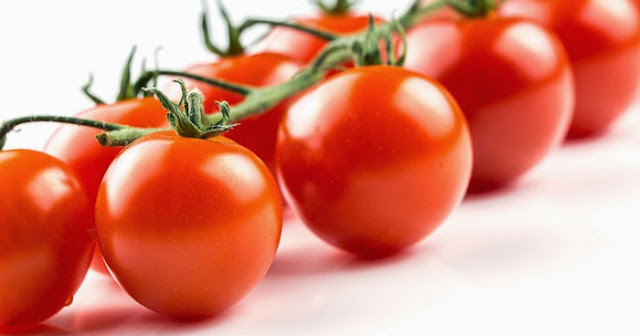 Learn more about growing tomatoes here. Why do Tomato Plants Split? Why do Tomato Plants Crack? 1. You forget to water regularly and the soil gets to dry. Then you finally remember and water a lot to make up for it or it rains. Then the plant drinks up the water super fast and the skins split. Whoops! 2. Your water regularly (maybe once a day after work) but it is extremely hot out. The soil moister evaporates during the day and the plants dry out. When you get home from work and water, he plants absorb the water too quickly and the tomatoes split.